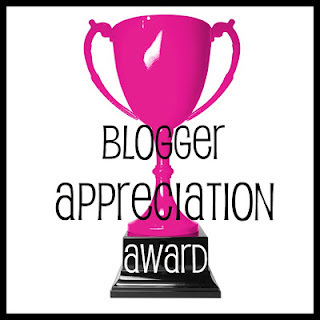 The very lovely Daisy over at Inspired has passed the Blogger Appreciation Award on to me! Thank you very much! 1. Thank the person who gave you the award with their blog link in your post. 3. Give the Blogger Appreciation Award to other bloggers. 5. Let the blogger know you awarded them. 2. What the 1-2 reasons why you started blogging? 1. I have only been blogging since October 2011. 2. I started blogging because I wanted to go bigger than just showing my nail pictures on my Facebook page. I was inspired by other nail bloggers and really just wanted to share what I was doing with others. 3. I mainly follow other nail bloggers, however I do follow a couple that deal with fashion or recipes. 4. The thing I really want to improve on is my pictures. I need to build a lightbox and get a better setup so that my pictures are more accurate. Thank you bab! I appreciate it :) I don't think you need to improve anything about your blog, it's lovely.